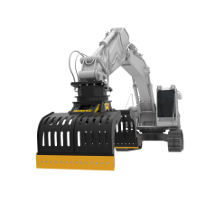 MB is a leading manufacturer of equipment, machinery and accessories for the construction, demolition and recycling industries. 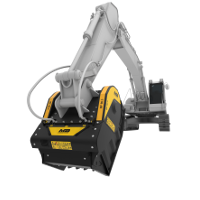 Applicable to any type of excavator, MB products are the most effective means in constructions and excavations, but also in special applications such as quarries, mines and environmental rehabilitations, for crushing, screening and separating inert materials directly on site to reuse it or allocate it to other uses. Crusher bucket, screening bucket, iron separator and quick coupling are an ever-expanding range of products strictly certified, whose use reduce costs, processing times and transportation of materials, while contributing to the environment. 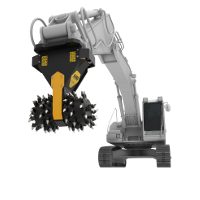 The latest-generation crusher. 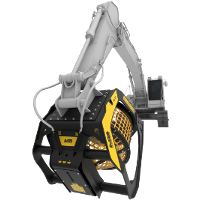 It can be fitted to any excavator, skid loader, loader and backhoe loaders. Perfect for the selection of natural materials, both before and after the crushing phase. It’s the ideal solution for those who have to process different kind of waste rubble, which can quickly be turned into re-usable and profitable material. 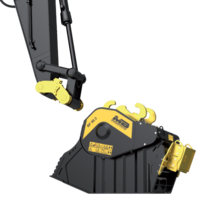 Suitable for any application requiring hard materials to be cut or ground away. 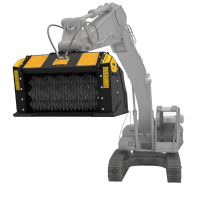 MB accessories enhance the performance of the crusher buckets and the screening buckets. They will allow you to customize the work process, and optimize it to make it more productive.